Due to popular demand, we are bringing Enchanted Forest back! The free Creative Play installation is perfect for children ages 0-10 years and their grown-ups. 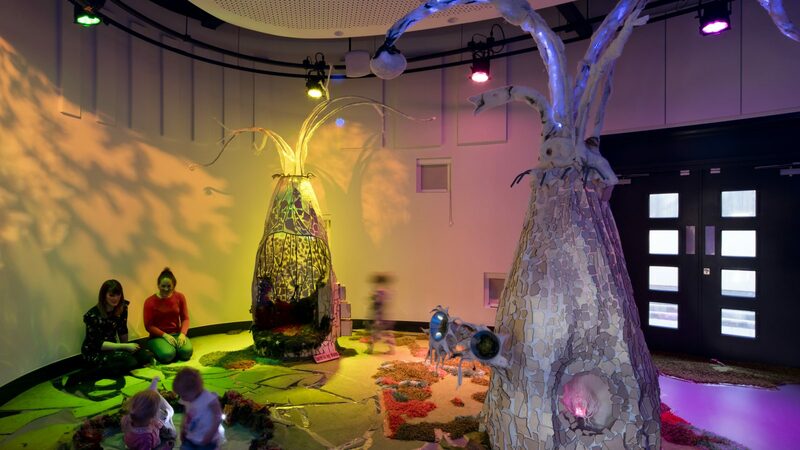 Inspired by the ideas of local children, the forest is a magical interactive space with storytelling trees, luminous fairy ponds and musical lily pads. Muckers is a funny, magical, physical production for ages 7+. Never underestimate the determination of a child! Young Emil catches a train to visit family in the big city. Something valuable is stolen. But the thief soon discovers Emil was not such an easy target. A group of quick-thinking and resourceful children rallies around. Can a bunch of kids work together to uncover and outsmart the true criminal? We are proud to reveal our new venue specially created for children and families, a national centre of excellence in theatre for young audiences and an inspiring place to play and learn. Stay up to date with Theatre Hullabaloo.